LeadStory’s viewer enhances reader experience. LeadStory displays your branded content in an easy to navigate format that encourages readers to engage, view related content, and share your message. LeadStory’s viewer provides a seamless user experience so readers can view and navigate between multiple pieces of content with ease. Your campaigns are ungated for email recipients. They never have to register to view content. Online security policies discourage the download of content. Readers can access your content on any browser so no download is required. Content can be viewed on any device — desktop, tablet or mobile. Browser-based. No app download required. Sharing directly from the platform helps spread your message on social media. LeadStory helps us understand engagement, measure intent and deliver quality leads. Our team uses LeadStory Platform for advanced campaign set-up and analytics to help us track engagement beyond the click. It’s one of the reasons B2Lead guarantees quality and our leads have over a 99% acceptance rate. LeadStory offers real benefits with options that encourage engagement and because it’s turnkey, there’s nothing for you to set up. View a white paper in the LeadStory viewer. Know how readers interact with your content. Emailed PDF files only show open clicks but LeadStory measures actual engagement with your content. You control the message. Readers click on your campaign and see only YOUR content inside the viewer. All your content — including white papers, ebooks, infographics, videos, on-demand webinars — from various formats (PDF, jpeg, etc.) is delivered with just one link. Align your message with your target audience for improved ABM messaging using several pieces of content. A/B testing can help you to understand which content is performing best within the campaign to further develop your message. Test new content and compare engagement levels using our databases. Your white papers are ranked by performance within the campaign. Your lead has an engagement score. The LeadStory Engagement Dashboard shares data, such as verified contact information and demographics, in a visual format and includes an Engagement Score. We’re not looking for just a click or an open. We want to measure each lead’s activity with your content and assign a score for actual engagement. How long does someone read your content? Did they share with their colleagues or on social media? We want to know how engaged they are as a reader or if they’re an advocate of your company. Manage advanced content segmentation and ABM. You can offer a more in-depth introduction to your company, product, or message by delivering multiple assets simultaneously. 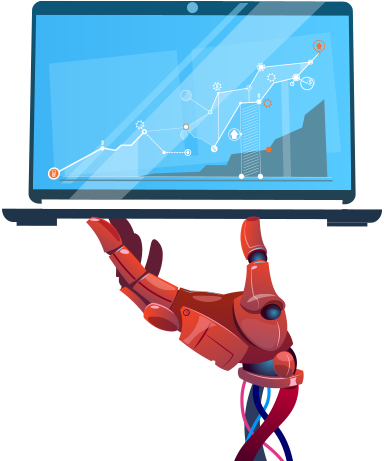 Content positioning within the viewer can emulate the process of a prospect moving down the funnel and determine the level of interest within a target account, based on interaction. ABM campaigns focus on targeted messaging to complex segments. The LeadStory Platform allows us to deliver campaigns based on this concept. 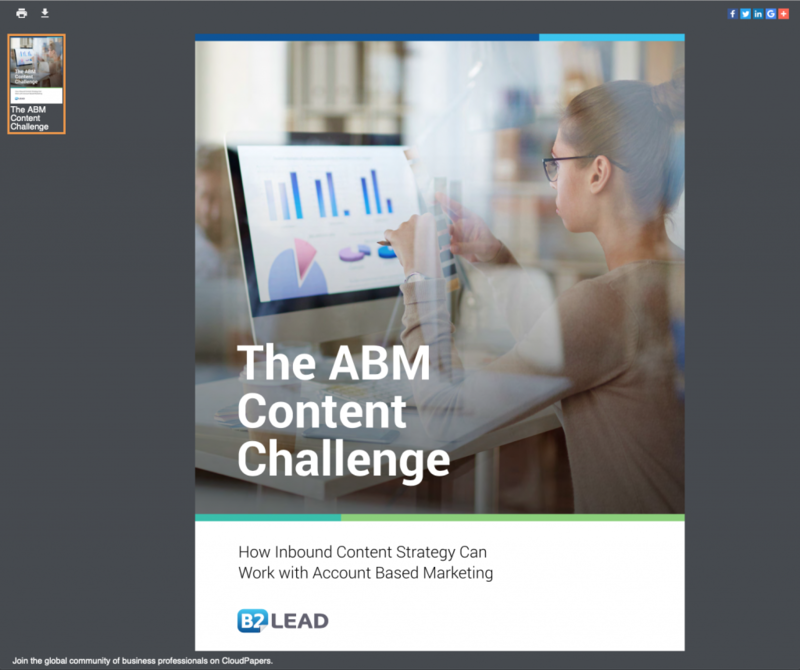 Learn more about ABM with LeadStory Platform. Our team uses LeadStory to generate, score and deliver great leads. For our customers who want the flexibility to run their own campaigns, LeadStory is available as SaaS. Your team or agency can manage your content and links in LeadStory. Deliver content on your company URL for better SEO and social sharing. Ensure brand recognition. Style LeadStory to align with your brand standards. Run your campaigns from your in-house database and see results in realtime. Track engagement for an in-depth understanding of how your content performs, including A/B testing. Contact us today to learn more about LeadStory.